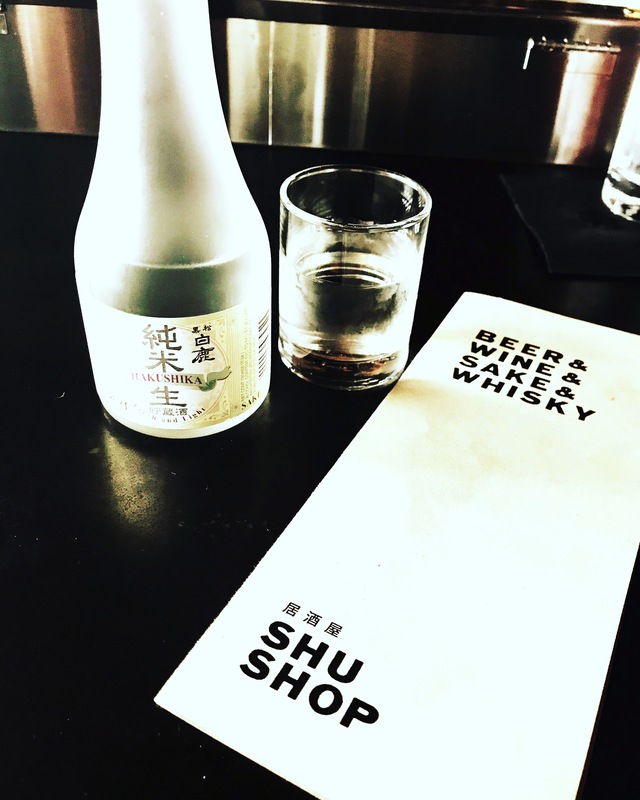 We continued our new tradition of Friday cocktails at a fun little place called Shu Shop in downtown Birmingham. It is a little local ramen shop, that specializes in sake and Japanese whiskey. They also have cocktails, beer and wine. Unfortunately, they don’t start serving food until 5, so we’ll have to come back and try their seafood ramen, which has amazing reviews on Yelp. Usually that’s where our Friday night ends, but not this time! 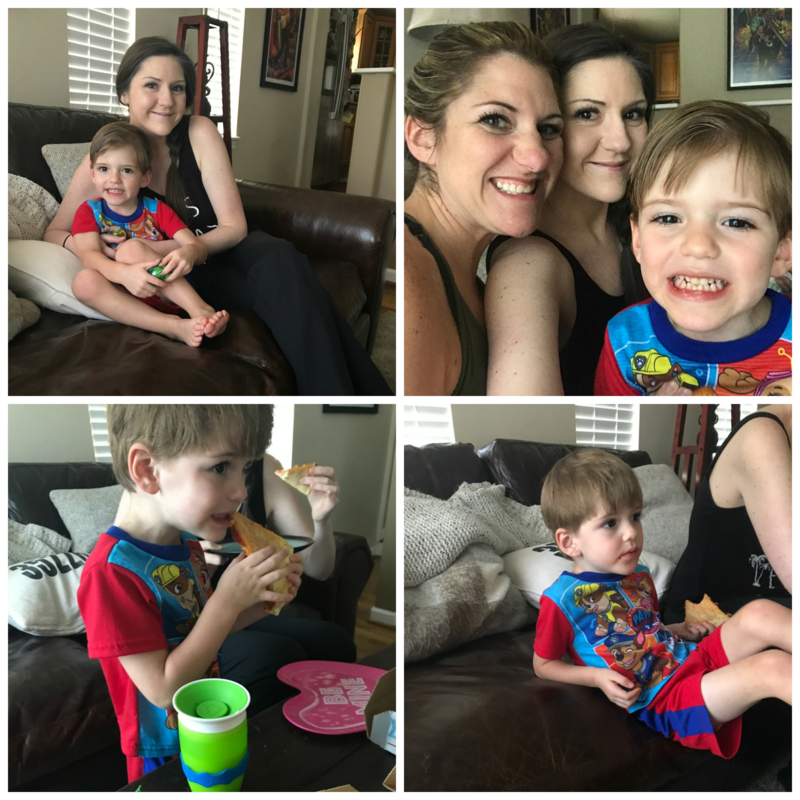 B was going out with some of his coworkers, so we had Aunt Juney over for a pizza party! We ordered two pizzas, some parmesan garlic knots and settled in to watch Coco. I love love love that movie, and am so happy Sheff loves it too. We all ate pizza, let Sheffield stay up later than normal, and then all went to bed relatively early. It was a pretty great Friday night! As per usual, I headed to my OTF Saturday morning – got a good workout in, and came home and made breakfast. I tried my hand at making migas, and I have to say they came out pretty great! After breakfast, we played outside, did a little shopping and came home for naps. 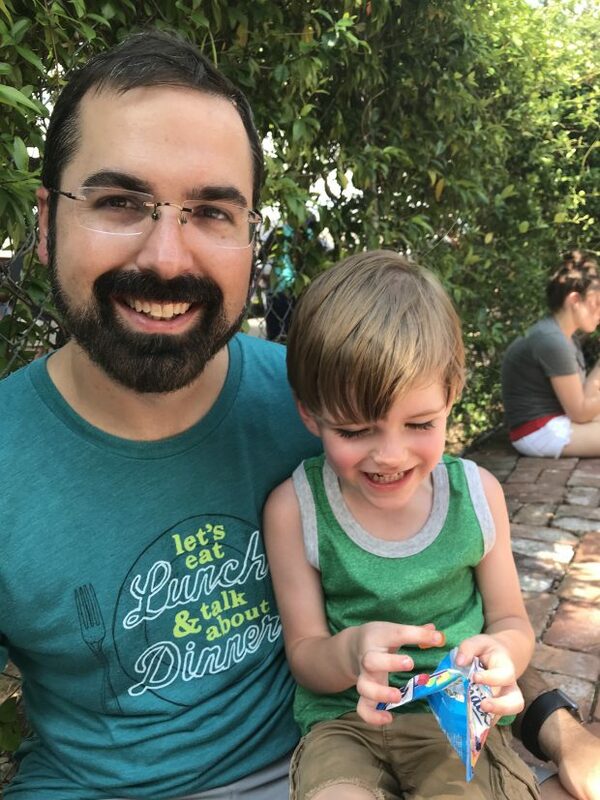 After naps, we headed down to Avondale for TacoFest. I will just say that while this idea in theory is great, the execution was horrible. It was jam-packed, the lines were forever long, and it was hot as all get out. We honestly tried two tacos, and hightailed it out of there. We ended up going to our favorite Mexican place to cool down with some margaritas and queso. The tacos we did try were pretty great, though. Sunday was definitely our lazy day. We started the day watching Coco (yes again – the kid loves it) and Hardees biscuits. Which are so delicious if you haven’t had one in awhile. Then Sheff and I got dressed and headed to Target to get supplies to make some popsicles! It was going to be so hot, we decided we just had to have them. 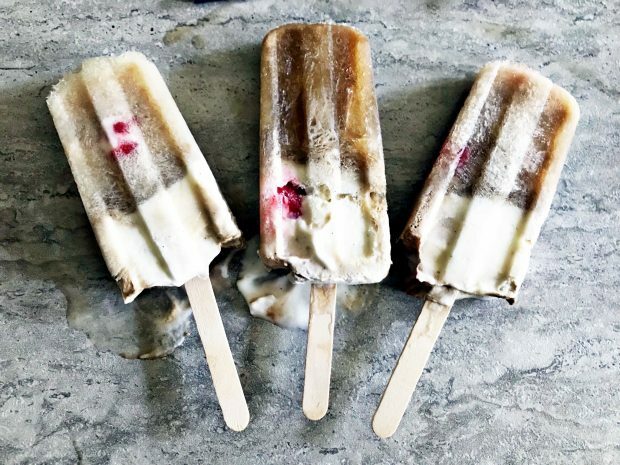 We decided on Coke Float Popsicles! All you have to do is fill your popsicle mold 1/4 with flat coke. Add in a spoonful of vanilla ice cream. Plop in a maraschino cherry, and fill the rest of the mold up with Coke – but not all the way to the top so it has room to expand. They were so good – I think next time, I might reduce the actual Coke to get more of the Coke flavor, but it still made for a really good summer treat! We spent almost the whole afternoon in the pool, came inside and just relaxed for the rest of the night with some wine and red beans and rice. I hope you guys had a great weekend! I’m looking forward to running in my very first ever Peachtree Road Race on Wednesday! What do you guys have planned for the Fourth? What a fun weekend! I still need to see Coco. Bummer about that taco fest. I avoid most festivals for that very reason. I don’t do well in heat or with crowds lol. Those Popsicles sound so good! I think all outdoor events in the summer here sound a lot better in theory, but I avoid them because I know I will die and just complain the whole time that it is too hot for me lol. Adding Coco to my list of movies to check out!